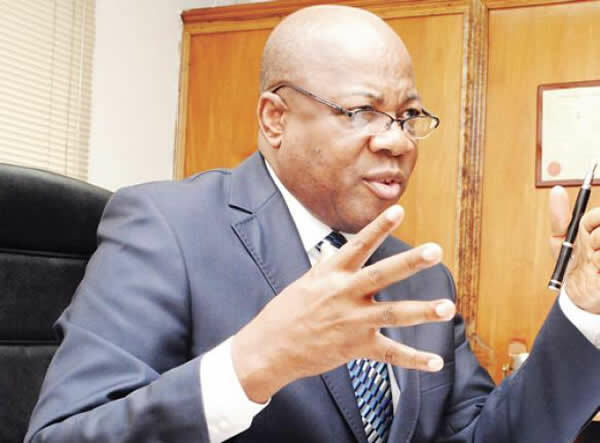 Mr. Olisa Agbakoba, a Senior Advocate of Nigeria and former President, Nigeria Bar Association, in this interview, explains why he feels it is not necessary for Alhaji Atiku Abubakar, the defeated Peoples Democratic Party, PDP, presidential candidate, to challenge the outcome of the February 23 election in court. You have asked Alhaji Atiku Abubakar not to go to court to challenge the outcome of the just concluded presidential election. Could you be specific on this and the implications if he eventually goes to court? Yes, I did say that, because I feel that going to court will not necessarily prove that the election was marred by massive irregularities. I feel that the stage Abubakar Atiku has attained now is a national one. And having garnered 12 million votes, I feel that, against all odds, the side of irregularities that came out of the election predicts more to the weak electoral processes that we have. I should advise that former Vice President Atiku Abubakar moves into the position of a statesman and leaves a legacy by assisting the civil society, the small parties and the PDP in reconstructing Nigeria on the question of a strong electoral system and the question of a strong legal system. There’s a lot Atiku can do even though he is not the President. At 74, 73 or 72 years of age, I feel that this should be his last chance. And more so, what will the petition’s outcome be? Petitions are based on two types of issues. One is the electoral malpractice. The other is tactical issue. From what I can see, the petition will be based on electoral malpractice. This is an extreme difficult thing to say. How do you prove that the votes in the South-East were reduced and who is responsible? INEC? APC? I would rather say Atiku should maintain the status quo of a statesman than descend into the arena of the court of law. The court of law is too small today. The national court is a bigger space that I personally feel Atiku should be favoured. And given the fact that it is not as strong as it should, I think Atiku should play a very strong role to build a political structure that will solve issues. Even the whole party, PDP, needs to reform, rebrand and reposition for 2023, so that a young vibrant President from the North or South or from anywhere in the country can be promoted. I think that should be Atiku’s legacy, and not to contest the outcome of the election in court. Looking at the outcome of the presidential election generally, what does this portend for the country’s drive for true democracy? It is a disaster for our great democracy because the election would have been based on ethnic voting, personal interest voting, and primordial voting. What happened was, contrary to expectations, President Muhammadu Buhari held his fanatical base in the North and that tells us that Atiku has no business in Katsina, Kano, Jigawa, Taraba, Plateau and Benue states. But we just found out that in this case, essentially, there are two types of voters in the North. Those in the first group are Moslem fanatical voters who gave President Buhari over one million votes in Katsina, Kano. Even Plateau, Benue and Taraba were very close. So Atiku can see that the herdsmen issue has no role to play in the centre contrary to the opinion that it would be a big issue for Buhari. Though President Buhari held his ethnic base, Vice President Atiku held his own adopted ethnic base, southern states. He won in the South-South, the South-East and the votes were split in the South-West. The consequence of this is that Nigeria is a divided country. That we are not going to see a President out of Nigeria in the next four years who could come on the basis of grassroots. Neither could we see in the case of Kingsley Moghalu nor did others because it would not happen on a very narrow ethnic base. Nothing has not changed because Nigeria is as primordial and ethnic-based as never before. You can’t have any strong candidate to come out from such structure and that’s why I say Atiku can play a very strong role in reversing the outcome of 2019 presidential election. People can say that 2019 is the worst election since 1998 in terms of guidelines. We have gone back almost 20 years. So Atiku can understand that his legacy would not be that he filed a petition. His legacy would be what he did to rescue Nigeria from the problem we are dashing into. President Buhari is unpopular. Let me state it clearly, he is unpopular but he won the election, and that’s democracy. There are opinions that the President has not done well, but we have been proved wrong by the grassroots fanatical votes that say no, it didn’t matter. What mattered is that “we vote for him”. You can see that competence, skill and capacity did not hold in the outcome of this election. Given that INEC extended the election process and yet, there were skirmishes, logistic challenges and other things in the February 23 elections, how do you score INEC looking at the outcome of the whole process? I score INEC very poor. I think in the states, INEC scores should now be put on INEC’s doors. President Buhari deliberately weakened the electoral process by refusing to sign the electoral amendment bill that contains the provision for electronic transmission of votes. Now, you need to understand what electronic transmission of votes means. In the basic process of voting today in Nigeria, especially manual that occurred on Saturday and the ones to come later, the reason is that there are five stages you pass: You go to your polling station, you vote, the results are collated, the relevant officer in that unit takes them to the ward collation centre. At the ward collation centre, the results are collated. Now, in the process of shifting the results from the polling unit to the ward, ‘mago-mago’ will happen, the numbers will change. Now, the process will continue to the local government collation centre where the local government collation officers will hand over the results to the state collation centre. From there, the state resident officer runs to Abuja and then announces the results that he has absolutely no idea where they came from. What happened in Abuja was a charade. Not one single collation officer could account for the nature of the results that were presented. And it is the same thing when they now hand it over to the INEC Chairman. He has no idea. He simply announces it. He does not know whether the results have been rigged, whether ballot boxes have been snatched. The electronic voting is supposed to take care of all these. At the polling station, as soon as polling ends, the head of polling unit will announce the results and transmit them to the electronic board that is there for everybody to see. Now, the issue of logistics, the transport of one person from here to there would disappear. I think that President Buhari will take the substantial part of the blame in refusing to sign the new Act that would have introduced electronic voting system. And that is part of what I think Atiku can spend the rest of his time doing now. It was an international disgrace to see professors and vice chancellors fumbling. They could not even explain the results they brought. That’s why the Chairman of INEC was asking one of them whether he needed glasses to see what he was reading. Oh! Come on! In 2019? INEC was a disaster in my opinion. INEC’s poor performance was exacerbated by President Buhari and it was deliberate. And again, President Buhari refused to sign the electoral law which contains the electronic voting law, because it will eliminate probably some of these. So, all the issues being raised by Atiku in electronic voting clause would not have been there. The second thing that informs my decision advising Atiku not to go to court was that, we all know that President Buhari unlawfully crippled the Supreme Court which is the court that will hear the petition. It is not really on my part to say that Buhari deliberately scuttled the Supreme Court in order to benefit from any judgment that would be delivered in Atiku’s petition. I cannot say that I have evidence of that. I can’t prove it but, sometimes, there’s no smoke without fire. President Buhari weakened the electoral process, weakened the judiciary process in a situation of the results of the 2019 elections. These are some of the things that I thought Atiku would have given up his personal ambition to assist once and for all to make Nigeria work again. To make Nigeria work again is something one can do without necessarily being a President of Nigeria. So, in essence, the judiciary may not help to determine the true position of things if Atiku goes to court, especially going by the rumbles in this arm of government lately.